Miller created its first arc welder in 1929 and grew to become a worldwide manufacturer of cutters and welders. The Millermatic 175 is a combination of power source, wire feeder and gun that provides workers with the ability to perform metal inert gas arc welding. The Millermatic 175 provides a variety of options for the welder looking to complete some special projects. The Millermatic 175 provides power for welding. The Millermatic 175 has a maximum open circuit of 30 volts. The input power is single-phase, operating at 60 hertz and producing 19.5 amps and 230 volts. At 30 percent duty cycle, the rated output is 130 amps at 20 volts of direct current power. The amperage ranges from 20 to 175 amps. The wire feed operates at rates between 20 to 700 inches per minute. At no load, the machine feeds from 40 to 720 inches of wire per minute. One safety feature for this machine is the thermal overload protection that activates when the duty cycle is exceeded or the airflow is blocked. A built-in, solid-state, contactor circuit prevents the wire from becoming electrically active unless the trigger is pulled. Voltage control and wire feed speed-tracking combine to adjust the wire feed automatically according to the voltage. A "Tip Saver" system protects against short circuits by cutting output when a short is detected. The Millermatic 175 is a little over 10 1/2 inches wide, 17 1/2 inches tall and 15 3/4 inches in depth, with a net weight of 73 lbs. The feedhead is made of cast aluminum and features a spring-loaded tension arm with a dual groove drive roll easy to replace. A plastic hub accepts 8-inch or 4-inch spools and is equipped with a retaining ring. This unit includes a T-knob that helps secure the torch, four slots for extra tips, a set of polarity changeover terminals and a calibrated tension knob. Millermatic 175 welding packages have a contactor and gas solenoid valve installed at the factory. A flow gauge with hose regulates the mix of argon and carbon dioxide. The package has 0.024, 0.030 or 0.035-inch drive rolls and two contact tips for both 0.024 and 0.030-inch wires. 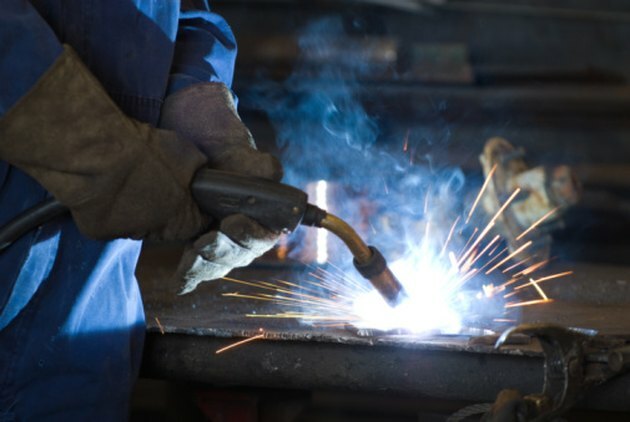 A spool of solid wire measuring 0.024 of an inch is provided with the welder. This model also includes a 10-foot work cable and clamp, a 10-foot M-10 MIG gun with cable assembly, a power chord with plug and a chart with information and settings. 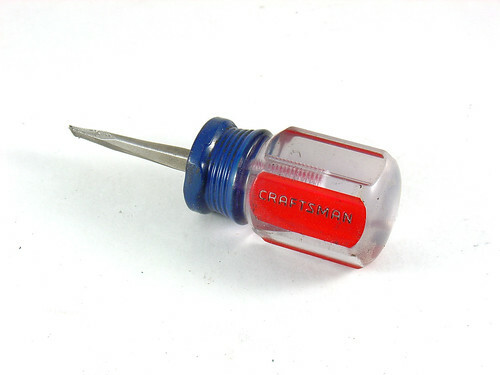 What Kinds of Metals Are Screwdrivers Made Of?